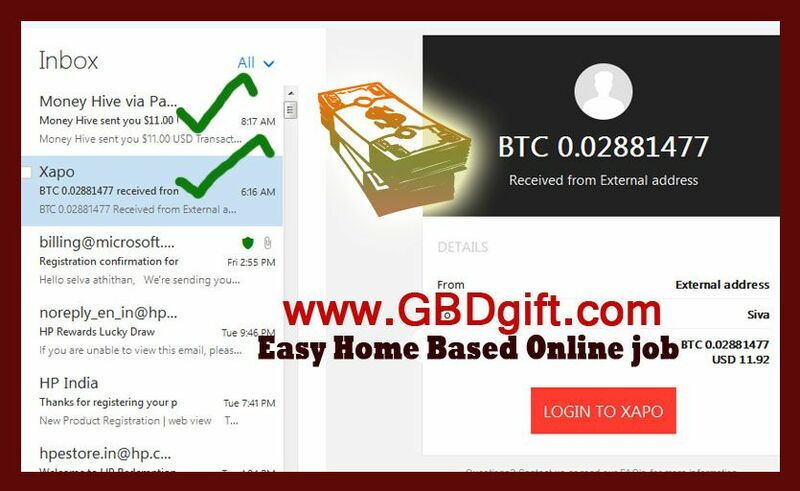 Today am received $12 Bitcoin payment from GBDgift.com Digital Marketing job site downline user selmoza, South Africa. Online Digital Marketing work cover world wide peoples and it's make more downline in short period. Today am also received another $11 PayPal payment from Money Hive, United States of America (USA) for Cashfeeder Digital Ads Marketing Work.